Several top producers are switching from cork closures to Diam. The change was spurned by a wave of New World producers frustrated with the high fault rate of corked wines. In the early 1990s that rate ranged conservatively from 2 to 3 percent, according to the cork industry. 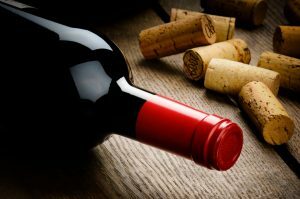 Screwcaps were seen as an alternative, but the more conservative European producers and high-end wineries did not adopt this practice because of consumer perception that high quality wines should have a cork closure. Which is where Diam comes in as a viable alternative. Diam is a processed cork product that even upon close inspection looks like natural cork. The cork pieces that make up Diam are cleaned and impurities removed, then it is mixed with acrylate microparticles that expand to fill in the air spaces between cork fragments.